Pizza has been all the rage in the Bay Area over the last month or so, with the local fooderati flocking to both Delfina in San Francisco and Pizzaiolo in Oakland. Whilst they were all fighting over which pizza was most like an authentic Neopolitan one, we quietly took ourselves to genteel Marin to check out the new wood-burning oven at the base of Mount Tam. In the few weeks that Bruce Hill's small, pizzeria has been open in the old Roxanne's To Go space in Larkspur, I've already tried it three times and each experience of it so far has been markedly different. When they arrived, both of our pizzas were thick, pale, dense and chewy. The dough was impossible to cut with the standard cutlery, so much so that it was almost comic to see us attempt the feat. We don't have a problem with eating pizza with our hands, but when it is piled high with salad, and the crust is so tough that it doesn't easily give for folding, it's not such an easy task. Steak knives might have helped the situation. I can understand the reasons for my salad pizza not being served piping hot, but Fred's was barely luke warm either. His mozzarella had already cooled and hardened into a less than appetizing, solid rubbery mass. Even by our own standard of preferring minimalist toppings, the ingredients on the pizza, although tasty, seemed a slightly on the skimpy side, especially around the perimeter where there was a good 2" of naked dough. The Piadine had the same 2" empty space around the edge but the toppings were far more generous. The sweet onions were a perfect match for the thyme and the other ingredients. The cheese added creaminess rather than flavour. The salad was crisp, the fig was juicy and the overall taste combination worked well. If only the pizza base hadn't been so belligerent. We are both avid crust lovers, but sadly there was a ring of uneaten dough left on each of our otherwise empty plates. I wasn't sure if Fred would want to go back again so soon, so when he was off work sick one day, I grabbed my friend Vinny and told him I had a new lunch spot for him to try. This time we sat inside where we could watch what was going on. Vinny's simple Margherita tomato, basil, hand pulled mozzarella and parmesan $10.00 arrived swiftly. It was piping hot, the cheese was oozing, and he started making happy, gurgling noises. He offered me a slice once I promised I'd return the favour when my own arrived. His was very good indeed, the tomato sauce was perfect and the thinner, hotter more crispy crust was an entirely different and better experience, not a scrap was left uneaten. Vinny had finished his pizza, and mine was still nowhere to be seen. I had ordered the special, topped with padron peppers, florida shrimp, basil, ricotta and spinach. Finally, the server spotted the error. (Let it be noted, this is a very small place, it only has a counter, it shouldn't be that difficult to keep an eye on the customers' orders.) She dashed to the kitchen (which is clearly in view) and had what looked like some sharp words with the chef before returning to apologize and let me know the computer had made a mistake and not sent my part of the order to the kitchen. I never heard anything so rediculous - the kitchen is about 4 yards from the cash register, why are they sending the orders via computer?! We had nothing to do but patiently wait, so Vinny and I watched the chefs in the background making and baking the pies. Into the wood burner went my lunch. And then, once they'd turned their backs for a minute to do something else, we could see my pizza catch fire and eventually blacken to a cinder. Third time lucky, my pizza finally arrived. The waitress apologized again and informed us there would be no charge for it. Straight from the oven it was delicious, piping hot and a good balance between crispy and chewy. The toppings were good, especially my first ever taste of the padron peppers which I admit to having had a small crush on ever since. Vinny, who was waiting patiently whilst I gobbled up my pizza as fast I could, so as not to make us late, helped me a little but really had his eye on the the selection of Strauss Dairy Soft Serve. I hesitate to call it ice cream, because it's more like cream ice. Vinny wolfed down his vanilla chocolate vanilla swirl dipped in El Rey Chocolate without any complaints but I was less keen on my vanilla dribbled with salt and olive oil. It looked like Mr Whippy but tasted nothing like. Instead of soft, creamy yumminess, this dessert was full of little crunchy ice crystals that battered my taste buds. Blaegh! The best part was the rich, soothing dribble of olive oil and sprinkling of salt that gave the dairy some flavour. Every report I have read about Picco on the net so far mentions that they use Maldon Salt but on my visit that didn't seem to be the case. It didn't look like Maldon. I asked the staff what kind of salt it was. Hawaiian sea salt, they told me whilst showing me a plateful of crystals, not flakes. The server gave us our bill. She hadn't remembered to comp our pizza as offered. Luckily we noticed and so she recalculated. 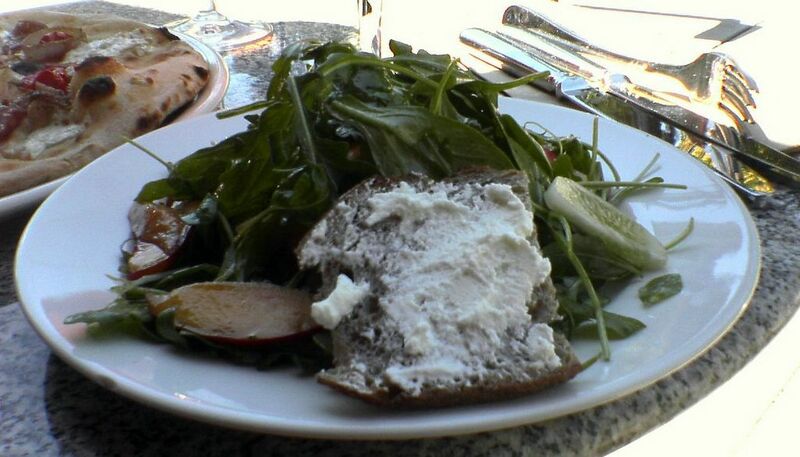 On my third visit I tried the Arugula with nectarines, lemon cucumbers and a Bodega Goatcheese Crostini $7.50. This was a very tasty, perfectly dressed little salad balancing the peppery leaves with the juicy, peachy, sweet fruit. The crostini was sadly pathetic. A cold, tiny, skinny little square of baked-dry brown bread, spread with a smear of innocuous, bland, tasteless mild goat cheese, a disappointing element of what was otherwise a good alternative to pizza. Look here, Bruce, that's how to make a crostini people won't mind paying for! Fred ordered a Cannondale with cherry tomatoes, Salami, mozzarella and torpedo onion this time round. This time the pizza arrived very quickly, and was hotter than his first one. Fred's pizza was still a little on the pale side. He looked jealously at the tables on either side of us where the pizzas were far more charred and bubbling than his. The salami was stingy, barely a slice per quarter and the thick, crust dry and hard to swallow again. "It's not the best pizza in the world, but it's ok", was his conclusion. 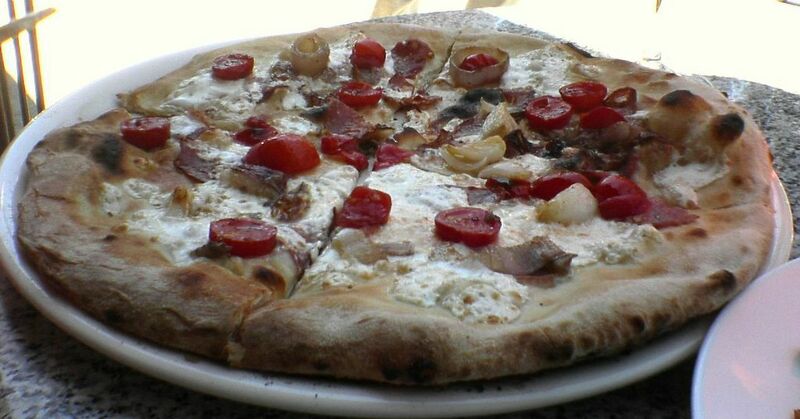 No doubt, Picco is getting some buzz, especially as Pizza becomes the hottest subject of discussion in the Bay Area. Since we had much better results sitting inside rather than out, we suggest you might be best at the counter where you can keep an eye on what they are up to. Perhaps specifically requesting you would like your pizza delivered the second it leaves the oven might be a good idea. We saw several pizzas being left for at least 5 minutes or more before being served to their recipients outside and that could just be the five minutes that ruin the pie. Please don't let the pie ruin, Bruce Hill! PS This review was Tried & Tested during the first month of opening. 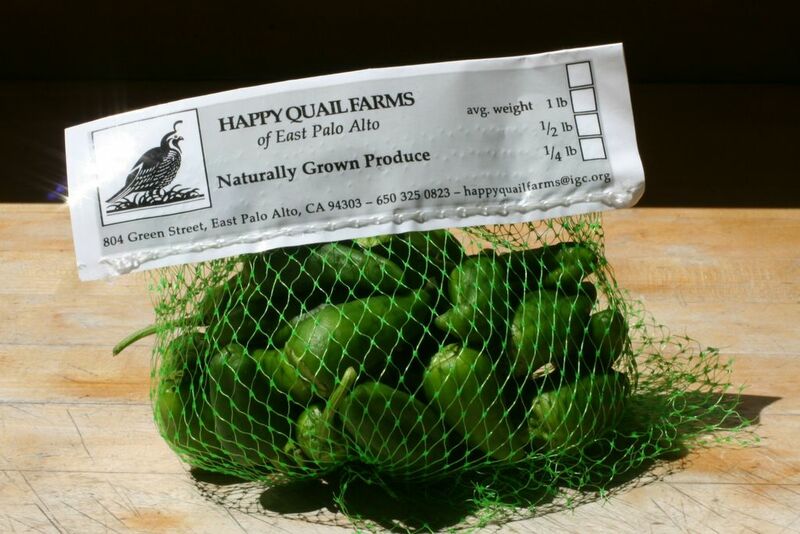 Wherever possible Picco uses local products. Archive Alert! On this day in 2004 we were sharing a visit to one of San Francisco's oldest restaurants, Flytrap with our readers. I only went once though so maybe we hit a bad patch. All this pizza talk is making me crave one! I saw a mention of this place's opening when I was down in the Bay Area a couple of weeks ago, and it sounded awfully promising. I'm so sorry to hear that it's sub-par, to say the least! Thanks for giving it such a good thorough test, Sam. owen - I think all these pizza places are suffering from overhype right now. 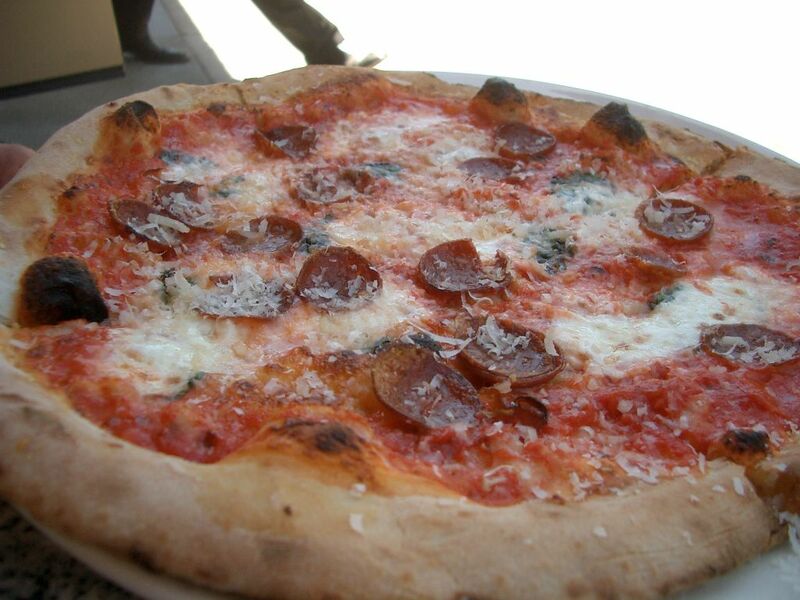 I hope the hype will settle down and the pizzerias will get into the swing and just make it as little local eateries. I didn't have any luck with that Trader Joes pizza dough when I tried. I know Amy is a fan too. Alice - I will have to remember that tip for next time I go snowboarding. Molly - It's still the first month - I hope they will do better - it seems like they are still trying to find their feet. It seems so mixed, so hit and miss, my friend Vinny who joined me on my second visit went again with another bunch of people and he told me they all loved it. I had the same experience at Picco Pizzeria. Inconsistent quality of pizza, bad service and ice crystals in the ice cream. The pizza was either over cooked or under cooked and it was lukewarm both times we tried it. It's a convenient location for me so I hope it improves. They're some great sounding pizza toppings. Your pizza caught on fire? What a riot! 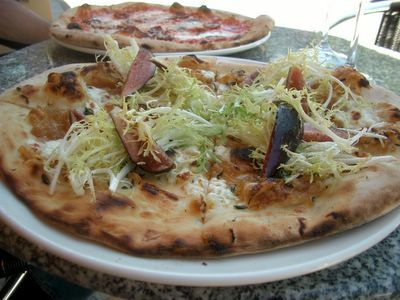 We tried Picco twice, first out of intrigue (another good restaurant other than Fork in Marin?! ), the second time out of undeniable craving for pizza. Both times were in the fall, several months after being open. Unfortunately, I won't be going back, not so much because of food quality, but because of the awkwardness of having to sit so closely to the staff and kitchen while watching them fumble along at the worst service imaginable! Both times I hardly noticed the quality of the food (I just gobbled it up hungrily) because the waiter/bartender was so distracting with his incompetence. He ignored customers lining up to place orders to go, customers needing a copy of the menu, or customers sidling up to empty seats at the bar with dirty, empty plates waiting to be bussed. Answering the phone took priority over delivering hot food, greeting long waiting customers, or getting drinks and silverware for guests who already had food in front of them. I thought the guy was on crack and just the wrong person for the job. The second visit was only improved by the presence of additional waiter, who had better "customer service" skills, and helped handle the business of entering orders into the computer, clearing plates, and bringing food to the customer. However, communication to the kitchen was terrible, again. We watched our hot pizza get cold on the counter just across from where we sat, the cook never announced that the food was ready and the waiters ignored the hot food just sitting there right in front of them. We had to get their attention (which was remarkably difficult in the close quarters of the place) to point and say "that's our pizza and it's getting cold". Picco needs to keep customers away and separate from the distraction of the kitchen activity until they can get professional behind the line/bar. Watching your pizza being made can be fun, but not when your watching in fear! They may leave your take-out pizza on top of the oven for 5 min. when you arrive to take care of sit-down customers first.